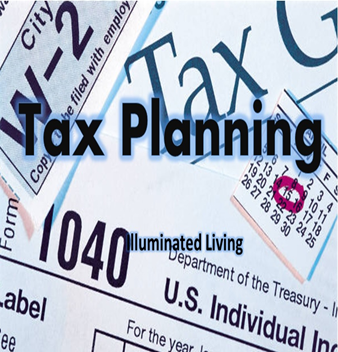 Most individuals think tax planning ends with Section 80C. But in reality, there’s more to tax planning than investment in tax saving instruments. Our Income Tax Act, 1961 also considers the humane side of our life and allows deduction for such expenditures. One such deduction is Section 80D under chapter VIA of the Income-Tax Act, 1961. When you pay the premiums for a medical insurance policy – commonly referred to as mediclaim (also known has a health insurance policy) to cover self, spouse, dependent children, and parents against any unexpected medical expenses, it qualifies for a deduction under Section 80D. For very senior citizens (more than 80 year old), who may not have a health insurance policy, the deduction upto Rs 30,000 per annum can be claimed towards medical check-ups and treatments. So, if your parents are super-senior citizens, don’t forget to claim this. With effect from Assessment Year 2017-18, expenditure towards preventive health check-ups can be claimed as deduction upto Rs 5,000 ––irrespective of senior or non-senior citizen, and whether in India or abroad (provided your health insurance policy permits and insurer is registered with the Insurance Regulatory and Development Authority). This means, if you are paying a premium of less than Rs 10,000; you may avail this benefit and save tax. But note that this deduction is very much a part of this of maximum permissible deduction under Section 80D. Section 80D stipulates that medical insurance premium be paid in any mode other than by cash ––so, preferably vide cheque, net banking, debit card, credit card, or any other acceptable mode. If you pay medical insurance premium in cash, you are not entitled to claim a deduction under Section 80D. If children aren’t dependent, parents can’t claim deduction for their mediclaim health insurance premium and preventive health check-ups. Mediclaim insurance premium paid on behalf of in-laws–– irrespective whether dependent or not––is not entitled for a deduction under Section 80D. With rising cost of healthcare, mediclaim insurance is a must; it can’t be ignored. At the same time before zeroing down on one, doing thorough research is essential. Pre-Existing Diseases are the ones that exist or you are suffering from before you opt for a mediclaim policy, and therefore insurance companies do not cover them from day 1 of your policy. Insurance companies have a waiting period ranging between 2-4 years for which they will not be liable for any claim arising on account of your pre-existing disease. Therefore, ideally hunt for a mediclaim policy which will cover your existing disease and have the least number of years of waiting period. Hence, ideally ensure that mediclaim policy you opting for has the least co-payment clause or does not have any co-payment clause at any stage of your life. Pre-Hospitalization expenses are those expenses which are incurred before you are hospitalized while Post-Hospitalization expenses are those which are incurred after you are hospitalized. Pre-Hospitalization expenses are generally covered for minimum of 30 days while Post-Hospitalization expenses are generally covered for 60 days. A health insurance claim arises in the year of hospitalization. In the years where you are in pink of medical health (by God's grace) and there aren’t hospitalizations and claims, the insurer offers you a no claim bonus. This has an effect of increasing your sum assured by 10% to 50%. No claim bonus increases on progressive basis by value of 5% for a claim free year and it can be accumulated for a maximum period of 10 years (but expires if the policy is not renewed on time). Hence, sensibly buy a mediclaim policy today and enjoy tax benefits on premium paid under Section 80D. Plus, you can maintain a separate contingency fund worth Rs 5–10 lakh for medical emergencies. These decisions will even facilitate you to manage your cash better during your retirement period and live peacefully. If you wish to chalk a strategy for your retirement, we strongly recommend you to subscribe to PersonalFN’s The Retirement Letter. But if you need handholding in your retirement planning , reach out to our experienced investment consultant, for an independent and unbiased advice. Reach us at (022) 61361200 or info@personalfn.com. We will be happy to help you!